What a year! These past few weeks, I have done a lot of reflecting on what we have learned and accomplished as a chapter; the list is mighty! In 2018, we held 15 Chapter Meetings (with three more coming this month! ), two Under The Hood events, and our 4th Annual Workplace Learning Conference with over 80 attendees and 8 sponsors. We launched virtual programming with monthly virtual chapter meetings and virtual Allied Partner networking events. We earned Chapter of the Month from ATD National and have launched our first ever ATDps Gives Campaign. Over 40 ATDps members have given of their time and talents to make all this happen and I am extremely grateful for the dedication and service of our volunteers. The learning for me is; when we set our goals, measure our progress and work together, anything is possible! Our chapter’s mission is to engage professionals and organizations, promote excellence in talent development and create a world that works better. I am so proud of how this chapter is living out this mission. And that’s not all-- December is just beginning! The first week of December is ‘Employee Learning Week’. While employee learning happens year-round, ‘Employee Learning Week’ is an awareness campaign to highlight the important connection between learning and achieving organizational results. To celebrate ‘Employee Learning Week’, ATDps is hosting a Train the Trainer Program: “The Emperor Has No Slides” taught by Deenie Esquibel, Director of Archbright University. You won’t want to miss this event – click here to register. Finally, December is the time when many of our Board members roll off or change roles and we invite several new faces to take their places. As we transition our volunteers, we reflect on learnings from the year, and use your feedback from the Annual Survey to plan out the year ahead. I could not be more excited for what’s in store! Please join me in giving a warm ATDps welcome to our incoming President, Stephanie Tham. Her passion for our organization, vision for the future and clear focus on priorities are such an asset to this community. I am delighted for what lies ahead – the team is in place, geared up to go, and full of exciting new ideas for 2019 and beyond. It was my joy and honor to serve as your President this year. Will you join me in reflection? How did you engage, learn, develop and grow with us in 2018? Drop me a note – I want to hear from you! PowerPoint, Prezi, Keynote? There are several authoring tools available to help you create a visually-appealing slide deck. Are slides really necessary though? Do they advance the learning experience? In this presentation, we’ll explore what happens when you can’t rely on a slide deck or what happens if your slide deck becomes unavailable. You’ll learn strategies to create engaging presentations that allow you to connect with your audience and convey your message without slides. As more companies transition away from using slides, you’ll be prepared to train and facilitate for the future. Deenie Esquibel is Archbright’s Director of Archbright University. She joined Archbright in 2017, bringing over 20 years of experience in learning and development. She has managed training programs in various industries, including retail, higher education, human resources, and high-tech. From concept to design to delivery, she has a passion for the learning experience. 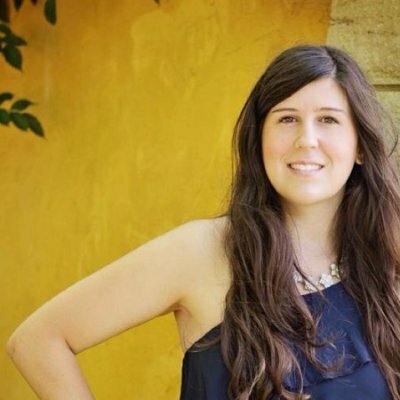 She is a certified Tableau trainer and is in the process of completing her SPHR certification. ATDps South Sound Chapter Meeting - What Shall I Do With My Hands? "What shall I do with my hands?" - the most common question clients ask presentation coaches. Many of us are frustrated by the sensation that when we are up in front of a group, terrified, our hands and our whole body, for that matter, seem foreign, frozen, detached, uncooperative, out of synch with our words. This session will focus on being fully IN the body, finding how to stay in it, to use it, and to enjoy its capacity to express your ideas and feelings effortlessly. We will explore the mind/body connections and learn a series of exercises and strategies to employ for your next presentation and/or to help your teams engage their audiences without fear. Bring your questions and experiences and let’s learn together! 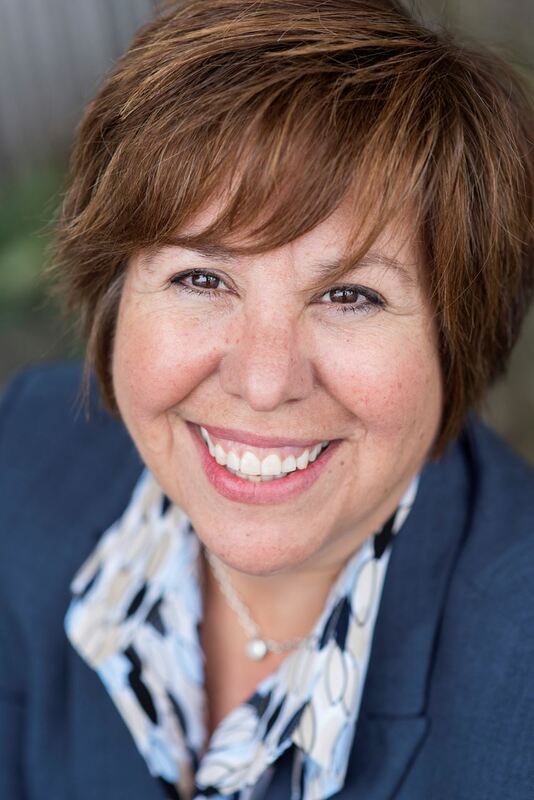 Connie Miller is Founder and Principal Coach of Pivotal Presentations. A trusted advisor and strategic communication partner, Connie coaches busy policymakers and professionals who need to make outstanding presentations to inspire action and collaboration for diverse audiences. 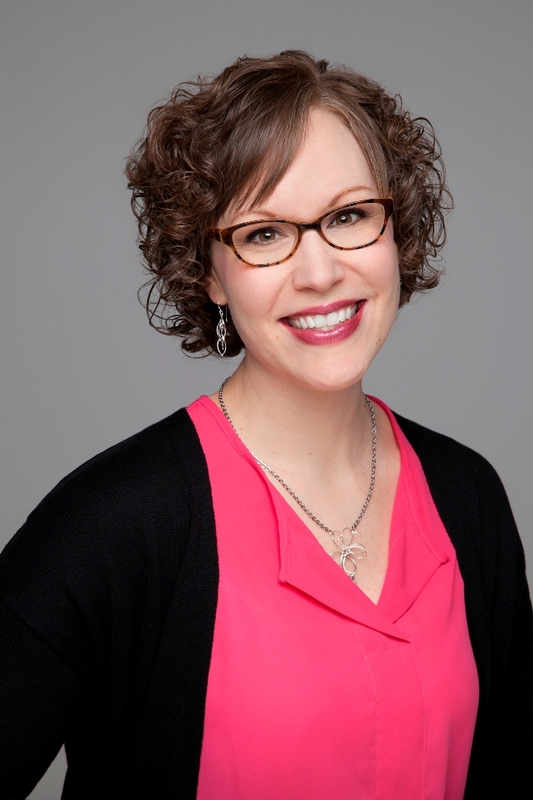 Her background in the professional theatre, her work as a mediator and collaborative planner and artist, all contribute to her ability to draw out her clients’ natural gifts and develop their skills and confidence. ATDps Seattle Chapter Meeting - Effective SME's: How to Help Subject Matter Experts Facilitate Learning? Subject Matter Experts (SMEs) bring depth of experience, credibility, and relevance to live instructor-led training. Their contributions and institutional knowledge are immeasurable. Reliance on them in the training room also brings a certain amount of risk because SMEs are not, in most cases, experts in facilitation. It’s our responsibility then, as learning professionals, to do what we can to design learning events to play to their strengths and to coach them to be successful in the training room. In this session we’ll explore ways to improve their likelihood of success. We’ll begin by identifying ways to design learning events specifically for SMEs, and end with non-threatening coaching techniques you can use to help them improve their delivery. 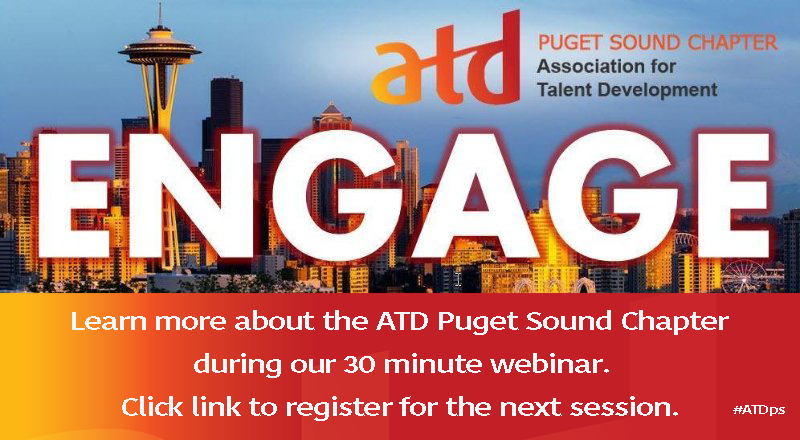 His speaking credits include the ATD International Conference & Exposition, many ATD chapter events, Training Magazine events, the Chicago eLearning & Technology Showcase, and webcasts sponsored by ATD, the eLearning Guild, PresentationXpert, and others. 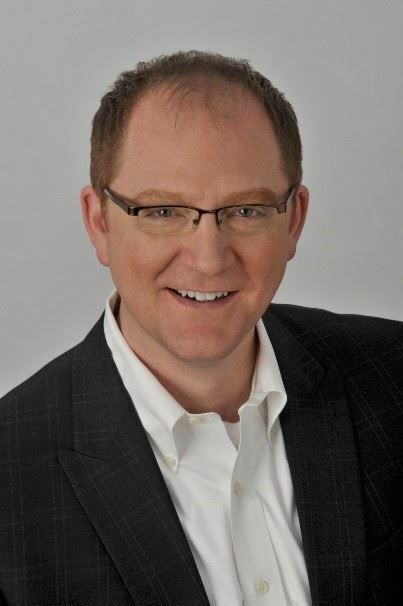 Greg was the 2015 president of the Association for Talent Development, Chicagoland Chapter. He started his career as an actor. Virtual Chapter Meeting ~ You Are Not Your Attitude – So, Get Up on the Other Side of the Bed! We invite you to jumpstart your 2019 by connecting with others in the ATDps, ICF, and LWHR communities. Join us online from the comfort of your home or office for a fun and informative event. Facilitated networking enables you to build your professional network while learning about “tools” your colleagues find most useful. Tools discussed might be apps that increase productivity, programs clients find useful, or the podcast you listened to last week. What are you excited about that you want to share? 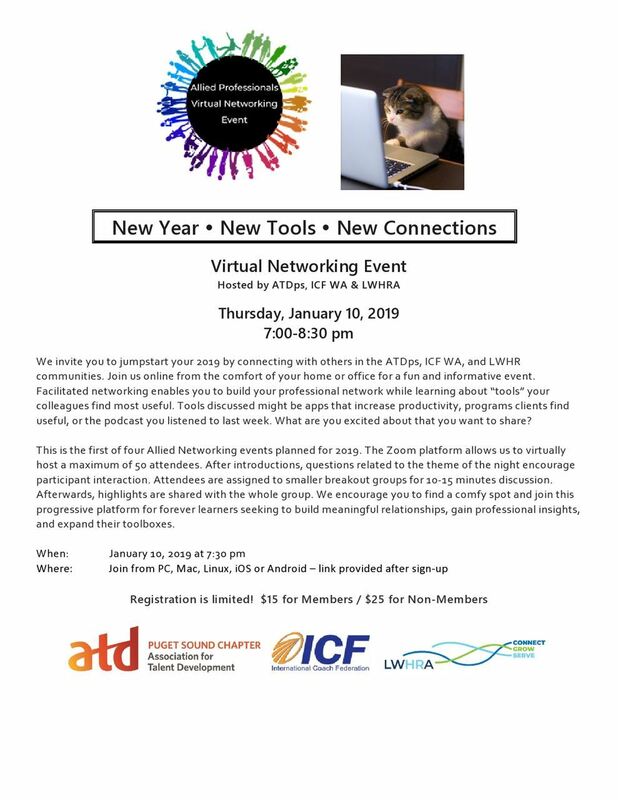 This is the first of four Allied Networking events planned for 2019. The Zoom platform allows us to virtually host a maximum of 50 attendees. After introductions, questions related to the theme of the night encourage participant interaction. Attendees are assigned to smaller breakout groups for 10-15 minutes discussion. Afterwards, highlights are shared with the whole group. We encourage you to find a comfy spot and join this progressive platform for forever learners seeking to build meaningful relationships, gain professional insights, and expand their toolboxes. Thank you to all of you who participated in our 2018 ATDps Annual Survey. We gathered 87 responses, for a response rate of 29%. Congratulations to our 2 winners who will receive an annual membership renewal: Brittany F and Josina G! As a board, we will dive into the results and review the recommendations as we begin to plan for 2019 and beyond. We will keep you posted on other action items as progress in this work and analysis.